A bull in the US has sold for a record-breaking $1.51m (£1.2m) at an auction in North Dakota. Schaff Angus Valley's annual auction oversaw the sale of the Angus bull on 9 February, which commanded a number of bids during its six minutes in the ring. The last bid was made by Herbster Angus Farms of Falls City, Nebraska, at an amount of $1.51 million. The bull, known as 'SAV America 8018', was brought by Donald Trump's farming adviser, Charles Herbster, who chairs the president’s Agriculture and Rural Advisory Committee. $1.51 Million Dollar Bull!! NEW WORLD RECORD! The sale beat the previous world record of $800,000 (£620,000), set by another Schaff Angus Valley bull in 2018. 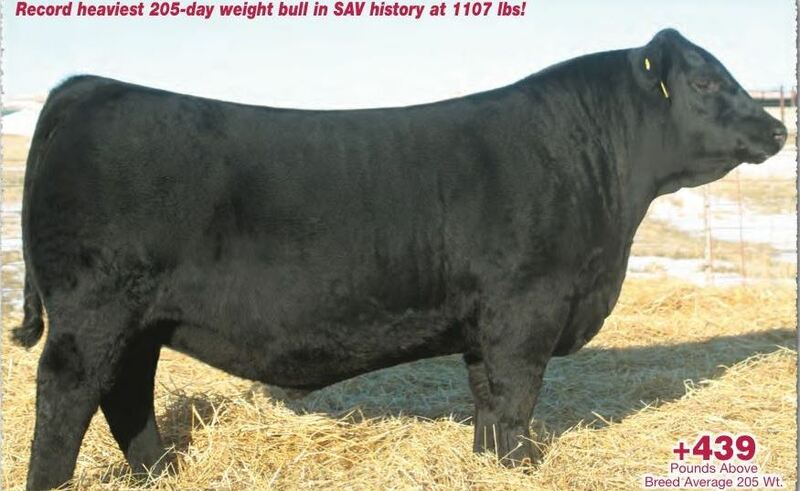 One-year-old SAV America 8018 was sired by the breeder’s own animal SAV President 6847, from the dam SAV Madame Pride 0075.